Canto-pop star Eason Chan at the M&M’s World concept store in Shanghai. Enhanced experiences are vital in today’s world of the connected consumer, and developing brand buzz is all the rage. The field of experiential marketing has seen exponential growth over the past few years, with brands striving to offer much more than simply products or services to their consumer base. One strand of experiential that continues to evolve is that of retail concept stores. Brands are becoming increasingly aware of the importance of creating a sensory experience within their bricks-and-mortar presence, offering an occasion to match the desires of a particular target demographic. "Concept stores are stores that embody the brand, so [they] should be a place where brand muscles are flexed," said Michael Tan, managing director of shopper marketing, Asia-Pacific, at Project Worldwide. A wide range of brands from differing sectors have successfully flexed such muscles in this area, such as Burberry, Apple — undoubtedly a pioneer of this field — Johnnie Walker and M&M’s. 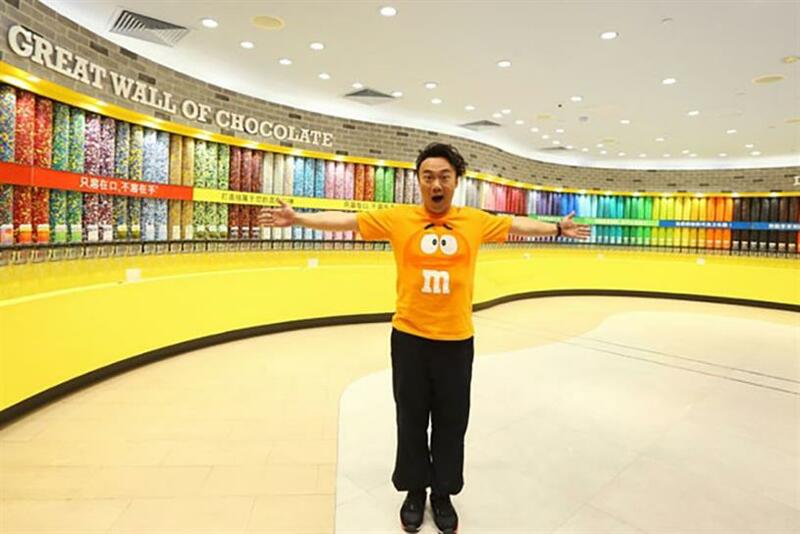 The M&M’s World concept stores have boosted brand equity in Europe and the US, and this summer the first Asian outlet opened in Shanghai’s Brilliance Shimao International Plaza. Taking inspiration from Chinese culture, heritage and modern architecture, the already hugely popular store — throngs of young consumers eagerly take selfies and "check in" on social media — offers shoppers a vibrant experience where they can explore, discover and be entertained. Such adaptation to the local market is essential if a concept store is to be a success, said Darren Watson, creative director at Fitch Singapore, the design agency that handled the project. "It’s important that the brand moments and product assortment are relevant and meaningful to [local consumers] and not just imported in. Also, the product offer needs to respond to the impulse experience." Further ingredients for success include a history and "an equity with consumers," according to Project Worldwide’s Tan. It should not be the role of a flagship store to be "building from scratch," he added, as other marketing communication means can achieve that more effectively. Another success story in the region comes from Johnnie Walker. In an attempt to develop relationships with Asia’s nouveaux riches and status-symbol-obsessed males, the world’s most widely distributed Scotch whisky label has launched a portfolio of ‘houses’ across the region. Using this ‘Johnnie Walker House’ concept, the brand showcases its whisky culture in innovative ways with properties in Shanghai, Beijing, Seoul and its most recent addition in Chengdu, plus airport locations in Mumbai and Taoyuan. Each of these self-styled ‘whisky embassies’ has been specially created to encapsulate the brand experience and immerse consumers in the brand’s history and provenance. The brand’s flagship is its Beijing house, where clientele can sample US$120,000 bespoke blends and a bar that replicates the feel of a craft distillery. Members have access to their own whisky vault, signature blends and a private "whisky-inspired" dining service from an in-house chef. "Johnnie Walker House has proven to be a remarkable addition to the Diageo Reserve portfolio and a game-changer for the luxury whisky trade," said James Thompson, global managing director for Diageo Reserve, in a statement. "With Johnnie Walker House, we offer unique experiences — part education, part private club, part museum, part retail — for our consumers. In an industry where experience is key, we are proud to expand our network to continue engaging consumers in bespoke yet unexpected ways." Concept stores must captivate and be accessible. Thus, another component for success is, naturally, location. The best branded outlets are often to be found in fashionable and high-profile city-center surroundings. "They plant a flag in a city and firmly in consumers’ minds to say, ‘This is a leading brand, this is a winning brand’, and everyone likes to bet on a winner," said Richard McCabe, regional planning director at McCann Worldgroup. However, prime real estate does not come cheap, nor do the fixtures and fittings in these stores. It can also be hard to truly judge the value of a concept store. "Indications are that they are brand efforts more than true retail ‘money makers’," McCabe added. "As such they should probably be judged along the lines of a brand campaign, driving awareness, familiarity, top of mind, and brand affection." While there are high-profile winners, there have also been examples of brands that have failed in this area, in particular Barbie’s foray into China. Mattel closed its "House of Barbie" store in Shanghai after two years struggling and US$30 million investment. Project Worldwide’s Tan attributed this failure to Barbie’s lack of equity with the Chinese consumer compared to the brand’s more mature markets. In the United States or even Southeast Asia or India, consumers have grown up with the iconic blonde doll and so have a well-established relationship with brand and its products. "Expecting Chinese consumers to buy into it being a lifestyle icon in a country where it does not have the history of being the symbol of femininity is too stretching, when it may only be viewed as a pretty doll and especially when it extends its products to makeup," Tan said. It seems that the concept stores that thrive are those that offer superior customer experiences and keep those consumers wanting more.